No Waiting. No Wiping. 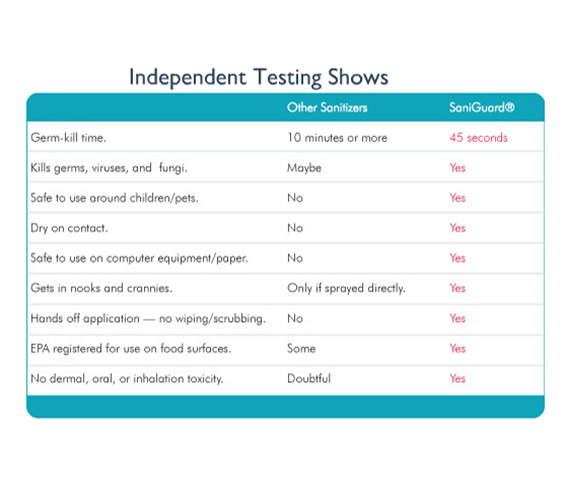 No Germs. 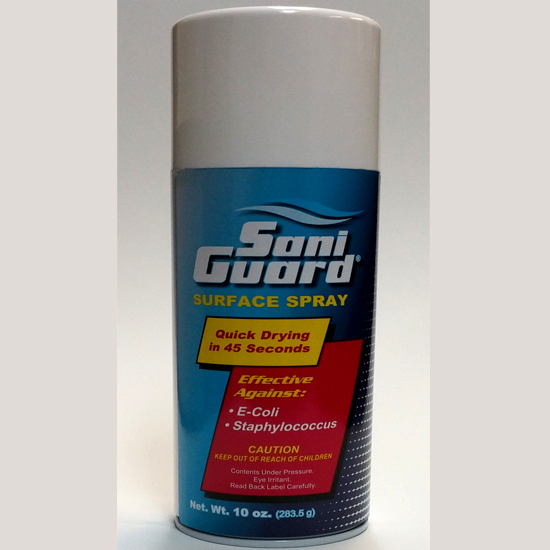 SaniGuard® Surface Spray is the world’s first and only DRY-ON-CONTACT Spray Sanitizer & Deodorizer. 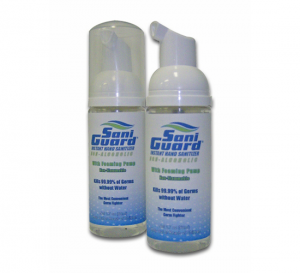 SaniGuard sanitizing products are EPA registered, patented, and have been proven to kill 99.99% of Influenza and 39 other various germs, bacteria, fungus, and viruses in mere seconds; including: MRSA, Ringworm, HIV, E-Coli, Salmonella, and Herpes. 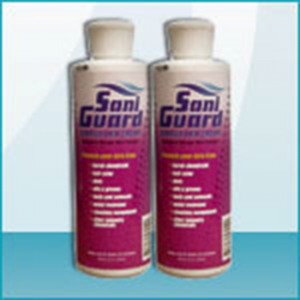 Safe for food contact surfaces (no potable rinse required) and other non-porous surfaces including electronics! 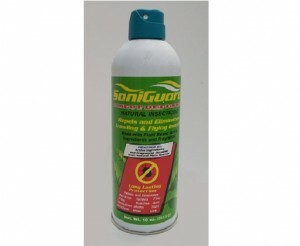 The 10oz Spray is great for facility cleaning! 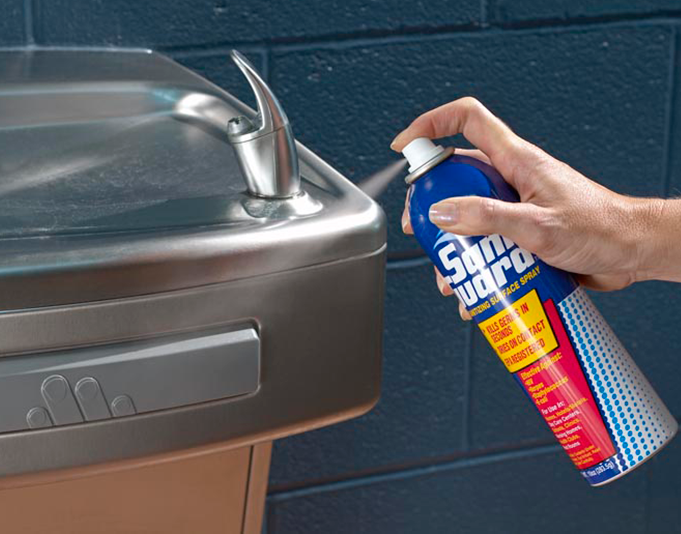 Use this spray in bathrooms, offices, schools, and hotels. 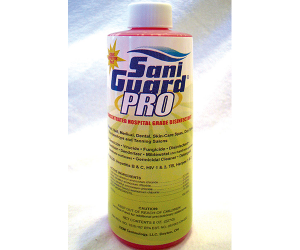 Ideal for treating hard to clean HOT SPOTS such as phones, faxes, shared office equipment, light switches, faucets, toilet seats, door knobs, drinking fountains, keyboards and computer mouse, break room tables, etc.